- "[S]hows that migrant smuggling routes affect every part of the world. The study is based on an extensive review of existing data and literature. 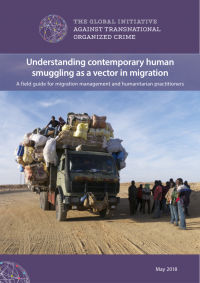 It presents detailed information about key smuggling routes, such as the magnitude, the profiles of smugglers and smuggled migrants, the modus operandi of smugglers and the risks that smuggled migrants face." 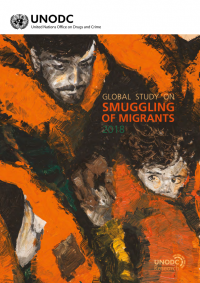 - "The report currently provides country-specific narratives for 187 countries and territories, including the United States, and places them on one of four tiers, reflecting the extent to which the government meets the minimum standards for the elimination of trafficking, as required by the Trafficking Victims Protection Act, or TVPA, the U.S. law that created the report. ..." The theme of this year's report is "Local Solutions to a Global Problem: Supporting Communities in the Fight Against Human Trafficking." - Note: Volume 1 is here.